Here are some of my first Funky Fingers nail polishes, purchased from the store 5 Below. These polishes claim to be one color in the shade, and change to a different color in the sunlight. Here is the before, click through to see the after. L-R: Funky Fingers “Surf’s Up”, “Riptide”, Pure Ice “Shell Pink” (used as a base for the accent nail). It worked! 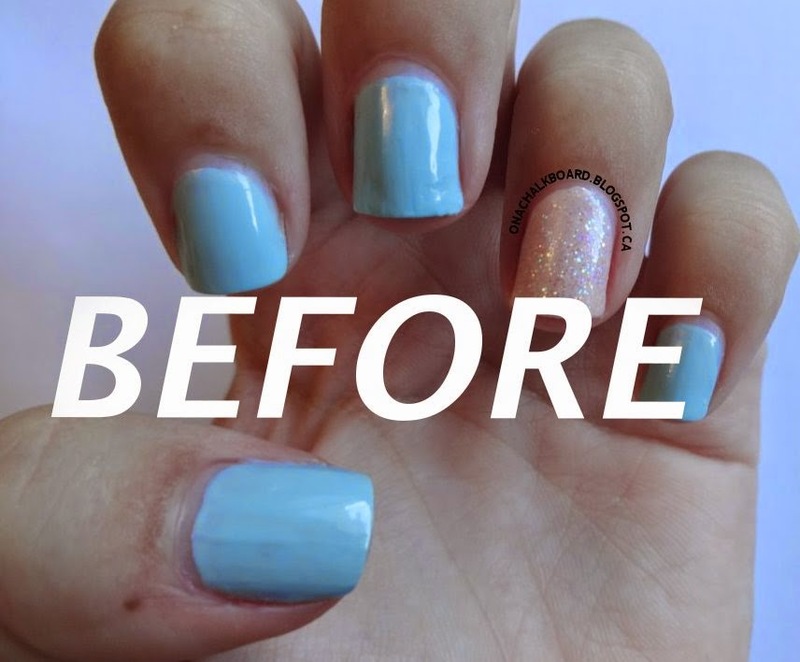 If you walk into the sunlight and hold out your hands, that polishes change color in about 10-15 seconds. I can’t wait to get more colors from this brand, because I’m very pleased with the result. Until next time, don’t forget to ‘treat yo’ self’ to a mani!